La Fattoria produces almost all the basic ingredients required to prepare the meals, which, prepared according to typical local recipes, guaranties an authentic and high quality offering. The wood oven, an indisputable part of traditional peasant cuisine, remains even now an indispensable element in the preparation of the most simple to the most refined dishes. Other days and Bank Holidays on request. Special menu for children on request. Children’s menu on request. Our menu for the adults. Toasted bread chopped with oil or with tomatoes, with truffle, mushrooms and vegetables, ciaccia with cold cuts and local cheeses. Homemade tagliatelle pasta with goose sauce or porcini. Gratin or roast or stuffed season vegetables. Walnut dessert or Dolce di noci or fig jam tart. Slice of toasted bread with lamb’s inside, chicken patè. Apple pie or granny pie (cream and pine nuts). Creative omelets and oil dip vegetables. Pasta with beans or grain soup. orcolo dessert with Vin santo (typical dessert wine). Visits can be arranged, close by the farmholiday, to an associated Wine Cellar to taste local wines and oil. The Cellar is located in Trestina, at around 7 km from the householidays. 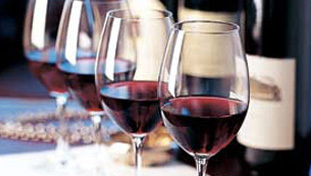 It offers wine and oil tasting, served with bruschette, cheese and local products well matched with the selected wines. Rate: euro 30,00 per person. 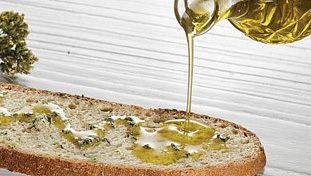 In addition to wine tasting, we can also organise tasting of extra virgin olive oil, traditional, organic, flavoured with various essences, including truffle, accompanied with toast and or typical bread selected to accentuate the aromatic and body characteristics of the product. Taste price for both: euro 45,00 per person.